The name of Carl Linnaeus (1707-1778) is inscribed in almost every flora and fauna published from the mid-eighteenth century onwards; in this respect he is virtually immortal. In this book a group of specialists argue for the need to re-centre Linnaean science and de-centre Linnaeus the man by exploring the ideas, practices and people connected to his taxonomic innovations. Contributors examine the various techniques, materials and methods that originated within the ‘Linnaean workshop’: paper technologies, publication strategies, and markets for specimens. Fresh analyses of the reception of Linnaeus’s work in Paris, Königsberg, Edinburgh and beyond offer a window on the local contexts of knowledge transfer, including new perspectives on the history of anthropology and stadial theory. The global implications and negotiated nature of these intellectual, social and material developments are further investigated in chapters tracing the experiences and encounters of Linnaean travellers in Africa, Latin America and South Asia. 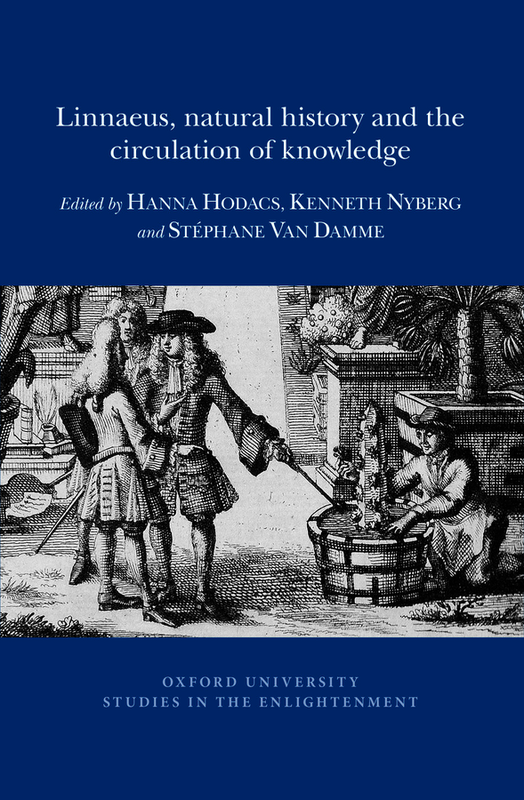 Through focusing on the circulation of Linnaean knowledge and placing it within the context of eighteenth-century globalization, authors provide innovative and important contributions to our understanding of the early modern history of science.